It’s Midnight Ministries is a global non-profit organization that focuses on unlocking Biblical truths, reestablishing holiness, and upholding righteousness to draw you closer to the Almighty in this late hour. We have been faithfully serving the global Messianic and Christian communities for over thirty years. The big question we pose and help you answer is the following: “Are you ready and waiting for your glorious soon coming Savior?” We believe the hour is late and YAHshua (Jesus) said now is the day of salvation - if you hear his voice do not harden your heart. Simply, it's nearly midnight. Indeed, the clock is ticking, the grains of sand are falling in the hourglass; very little time is left! We are exhorted “to redeem the time for the days are evil.” (Ephesians 5:16) An important question is – What are you doing that is of eternal value at this most critical juncture in world history and its threshold into eternity? As such, the Mighty One, the God of Abraham, Isaac, and Jacob, is wooing a remnant, both Jews and Gentiles, to be reconciled to Him and one another, a righteous remnant, who will know and worship Him in spirit and in truth. It is the prayer of this ministry that the Spirit of Truth will take the whole hearted seeker of the Most High on a pilgrimage onward and upward on the “Highway of Holiness” (Isaiah 35:8). The Holy Spirit is now opening the seals of many vital scriptures that have been hidden in the scroll of ancient biblical truths. For many centuries these truths have been covered in obscurity by the doctrines of men and their historical religious traditions. The topic of the divine memorial-names of YAHveh, the Almighty, and YAHshua, the Messiah, are a primary golden thread woven through the fabric of this ministry’s teachings, creating a vivid portrait of the Holy One of Israel and the Messiah of mankind. The Hebraic root of the Messiah and the original messianic faith will also be interwoven throughout this tapestry. The goal of this ministry of reconciliation is that a divinely chosen remnant may be humbled and circumcised in heart, as the plumb line of biblical truths is held next to the crooked walls of certain doctrines and religious traditions. As errors or deceptions are revealed, this plumb line will become as a flint knife of circumcision in the hand of the Almighty. Only a remnant circumcised in heart can rightly approach the Shekinah glory (divine presence) of the Most High. Many will grieve with broken and contrite hearts, as they clearly see how far religious systems with their self-centered ways have veered from YAHveh’s precepts and holy commandments. According to the ancient prophets, the Almighty’s righteous judgments will soon fall upon those who veer from His truth. The Hebrew apostle Peter said, “And so we have the prophetic word made more sure, to which you do well to pay attention as to a lamp shining in a dark place…” (2 Peter 1:19). It is the hope and prayer of this ministry that the Spirit of Truth will illuminate the words of the prophets to those who are seeking more of the light of His holy presence. For many centuries, various religious systems have greatly neglected the Old Testament Scriptures. Due to the absence of the bright light of the prophets’ words and the limited knowledge of the Hebrew root of the Messiah, many Jews and Gentiles alike have made their spiritual pilgrimages on a confused and dimly lit path. Their pathway has been overshadowed by religious traditions rather than illuminated by the sure light of the Creator’s full counsel and countenance. Messiah sacrificed His precious blood to redeem and consecrate a remnant as a priesthood made Holy to YAHveh. He is calling out Jews from every tribe of Israel and Gentiles from every nation and religious background. This chosen remnant will be as “one new man” (Ephesians 2:15), redeemed and united through the atoning blood of the Hebrew Messiah. In willing response to the heart cry of the Mighty One of Israel (Isaiah 1:24), this humble remnant will leave the doomed world system with its false religious traditions to ascend His holy mountain. There, He will spread out a net of protection over those who love and worship Him “in spirit and truth” (John 4:23-24). There, in His presence, His people will find a place of safety and refuge from the coming trials and ultimate divine judgments that will fall upon the earth. The Hebrew prophets’ words are now being fulfilled regarding the regathering of the Jewish people from the nations back to Israel, their divinely given homeland. The word describing this regathering and immigration is AliYAH, which is a Hebrew expression meaning “to go up, to ascend.” There is a parallel regathering in the spiritual realm as His Spirit is wooing a remnant to make spiritual AliYAH, to return to the pure worship of YAHveh, and ascend into His glorious presence, as in days of old. Through the words of His prophets and the heartbeat of this ministry, His Spirit is beseeching a remnant to make spiritual AliYAH, saying: Come let us go up to the mountain of YAHveh, and to the house of the God of Jacob, that He may teach us about His ways, and that we may walk in His paths. Though all the peoples walk each in the name of his god, as for us, we will walk in the name of YAHveh our God forever and ever. (Micah 4:2-5) Indeed, the Almighty is continually crying out, “Come out of the world and be separate and holy.” This ministry is here to help each and every heart that longs to answer this call! We believe the hour is late and that our Savior YAHshua (Jesus) is returning soon. We must all be ready for the coming of the King because it is almost midnight. 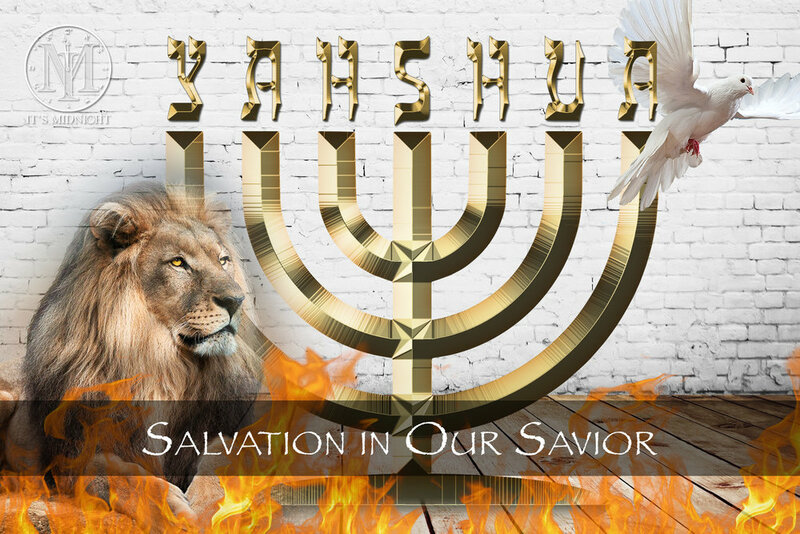 We believe that YAHshua (Jesus) is our Savior and that salvation and forgiveness of sin comes through Him. Our King and Savior died so that we might live! We believe in the Old and New Testament and that salvation is meant for both Jew and Gentile. Indeed, salvation has no bias as we are all one new man in our Messiah! 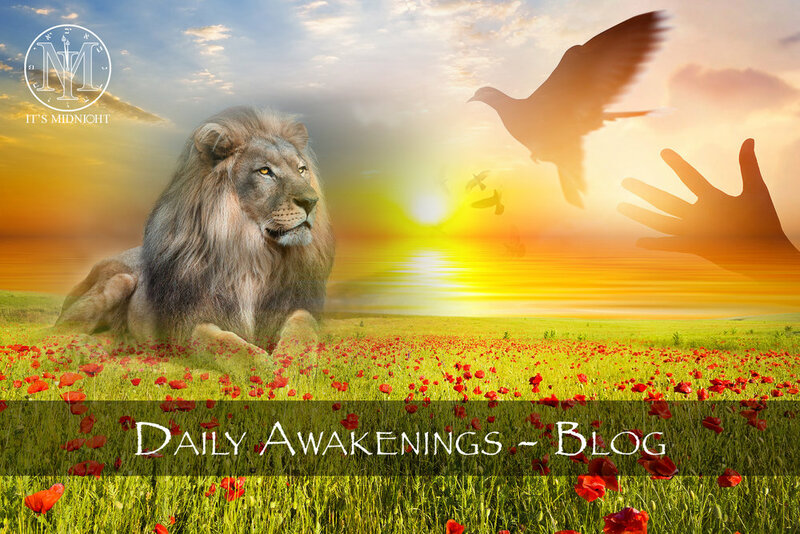 Read our blog that has daily teachings to help you grow, morning by morning, in your spiritual walk with our Savior. Learn about this life changing book that will draw you closer to the Almighty while uncovering Old & New Testament truths. 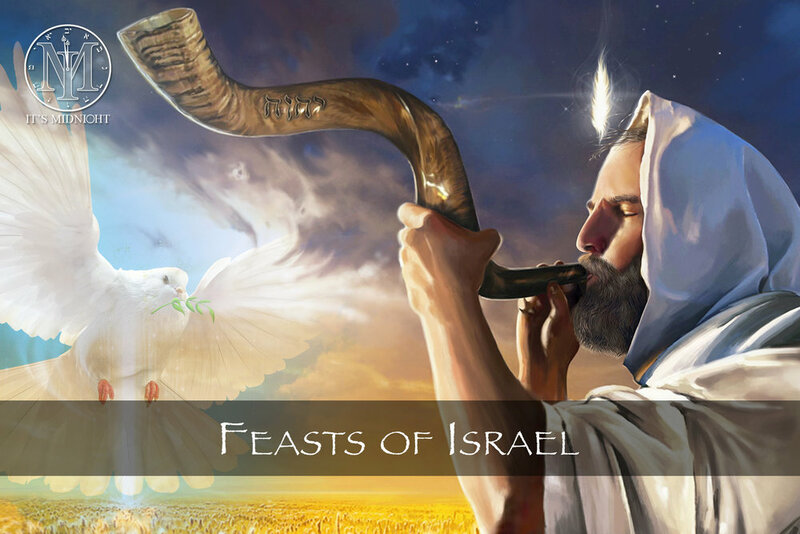 Learn about the Feasts of Israel like never before while uncovering the truth and fulfillment of our salvation in Messiah. Watch and listen to life-changing video teachings and messages from acclaimed author and speaker Terrye G. Seedman. Listen to audio teachings, covering topics from holiness to the Feasts of Israel, all of which will draw you closer to our Saviour. Shop our devotionals, teachings and acclaimed book Holy to Holy, all of which will bring you closer to our Savior. Unearth new meaning behind the Ten commandments and learn to become holy, consecrated, and righteous to Yahveh. Read daily and weekly devotionals that will help you grow in the knowledge, faith, and power of our Savior. Are you ready for our Savior's return? Do you want a closer relationship with Him? Contact us regarding our seminar options. Learn about our mission, our calling to Jew and Gentiles alike, and our mighty commission from our Elohim and Savior. Listen to our exclusive music intended to usher the listener into spiritual worship and close communion with the Almighty. Help continue spreading Yahveh's mighty word of salvation, truth, and redemption by donating to our global mission.